Wow, you are a busy busy man. I don't know how I'd keep up. Hi Alex .. congratulations on saying you'll survive - and I'm sure you will. I do want to know who the Kagrandes are! As stated already, you are going to have a busy month, but a great one. Love your theme, and can't wait to see how many of the classics I know. I even followed one back in uni, so I will be interested to see if you picked it. Your April sounds packed! and fun. It'll be interesting to see how the Egyptian capital idea works out. I would have thought tourism and security would be more of a priority right now. Their economy could do with a boost, not clear how this is going to revive it, but good luck to them! The theme sounds intriguing and educational, look forward to reading. Best wishes for all the plans. I've missed seeing a lot of cult classics, so looking forward to whatever movies you choose for you posts. Dream Theater - cool; Love your theme! Kar. > iguana; I'll post the A-Z theme banner on my blog. Got to get Pat Hatt's book. Good luck with the blog tour! and all of April's adventures! Sounds like you'll be super busy today. Love your theme. Looking forward to your posts. I'll enjoy your cult classics and seeing how many I know! And I love your theme for A to Z. Building a city from scratch sounds like something a pharaoh would command! Yikes, that's definitely a busy April! Good luck juggling it all! That planned city would be pretty amazing! Well I kind of announced my theme today but not with any fanfare. I am looking forward to your April 7 release and the scavenger hunt. I wonder if that Pyramid building I posted about is going to be part of the Egyptian new city. I'm breathless just from reading what all is planned for next month...Wow! But I know if anyone can pull it off, you can. Great theme BTW. Looking forward to all the post. Congrats to those with new books out. It'll be interesting to see how the new city turns out. Rhonda, we'll find out if I selected it. Nilanjana, not sure how it will help them either. Lisa, poisons will be cool. Elizabeth, I'm sure it didn't look like Skype! Good books to read, good A to Z theme and altogether a good post. I know you have everything locked, so I won't worry about your during the Challenge. I need to take some examples from you. Looking forward to April - ready or not! Good luck with the launch! Oh, I like this theme you've chosen! It lines up with you perfectly and should be a lot of fun and interest for everyone. Also, I look forward to your AtoZ post. As well liked and well loved as you are, I'm sure we can all learn something from you. That's an ambitious theme. You'll be really busy next month. You have so much cool stuff on here today, the city, the car, the books, and Mark's contract. Whoo hoo! I tweeted for you. I'm getting fired up for the challenge. I don't schedule much in advance as I like to be open for new ideas and things to review. I love Dragons, so I am very interested in your newest book Dragon of the Stars. I love the 3D art on your books! I posted one of my cover illustrations on my blog after I read your comment about my dragon 3D model. Since I am not a published author and I am sort of new to the blogosphere I learned a lot by reading your current post. I am still learning about the A to Z challenge, but I love how it encourages making friends and communication! It is good to know that some seasoned bloggers schedule their posts ahead of time. I may start doing that to optimize my time! You use Word for formatting and I used Dreamweaver, but Word might be better so I will give it a shot. This is valuable information! Thanks! Enjoy the A/Z Game, Alex. Looks like you've got a fun one lined up for yourself. Good on ya'. Anyone that can pull it off, it would be a NINJA! Wow, it sounds like you have a VERY busy month in April! I have all of my posts scheduled and ready to go for my blog and I have my portion done for a joint blog I help with. However, I'm gonna go back and add your book to my April 7th post since I am featuring 2015 new novels for a small part of my theme. You're going to be unbelievably busy next month! I've got all my posts written, edited, and scheduled, though I'm going to have to go back through all of them, at both blogs, to double-check they're all scheduled for 6:30. I wasn't very pleased to discover I somehow had my theme reveal post scheduled for much later in the day than I'd thought! Awesome theme! Can't wait to see some of these cult classics. Egypt's new city is either going to be magnificent or go bust. I'm curious to see if they can build a whole new city. Have a great week! Ooh I love your themes! Can't wait for the posts! Lauren, thanks, and I'll go have a look! Dani, thank you - that would be awesome! Brandon and Bryan, I really did. They are all set to go. Carrie-Anne, I'll also be doing a lot of double-checking, especially for the time. Cult Classics sounds interesting. Looking forward to it. April should be a lot of fun. Congrats to Pat for release of his books and also the other writers. Just a matter of days before the A to Z. Looking forward to it AleX! Your challenge theme sounds awesome. I am a big fan of cult classics. (Why eleven? Because it’s higher than ten!) Hahahaha. Good luck keeping all your ducks in a row. You've got a lot going on. I really do believe you have superpowers, Alex. Good luck with all of the above. I'll be cheering you on from the sidelines. Sheesh! You are a brave man! I can't wait to see what the Kargrandes are, either! Not surprised by the BOTB win. New capital for Egypt? Brazil did it. Not a bad idea to keep Cairo as a historical place and move government to another locale. Hopefully they'll become Christian while they're making big changes. You've got another great A to Z theme that suits you well. Cool concept cars! And . . . wow! You are putting a lot into the blog-world this month. I'll help with Dragon of the Stars, as well as I can, and my theme is . . . Celebrations! Cult classics is an awesome theme! I do love cult classics! Looking forward to it. And I'm off to check out Web Urbanist. Cities of the Future are right up my ally. Well, I hope to see something about "Mars Attacks." Wow! You are going to be super busy in April. Wonder if you are going to get the time to eat. Like your A to Z Challenge theme a lot, Alex. Your theme sounds awesome, Alex. Can't wait to see your picks. Cult classics will be a fun theme. Congrats to Mark on the book deal! Your theme sounds awesome! Can't wait. Congrats to Pat and Brinda on your releases! And I'm stoked about your theme this year. There's so many cult faves to choose from, which makes it both easy and tough to do. What a great theme, Alex! Good luck with everything! Shell, glad you got that joke! Lee, we can only pray for that change to happen. Chrys, and I appreciate that! Congrats to the new releases and Mark for his book deal. WOOT! And that new city in Egypt may just be the beginning of a slew of new metro-city-upgrades if they prove to the world they can pull it off. Let's get ready to rumble with the A to Z blogging challenge! Delicious idea hope your good advice to make friends! The new city in Egypt looks beautiful, but I can't help thinking the money would be better spent on those in need. The cult classics theme sounds like fun. I'm doing more of my Fictional Favorites. I checked out your posts on Curiosity Quills and A to Z, and the futuristic links. Love the cars! Congrats to all the new releases! Looking forward to A to Z! Stay sane, Alex! I agree with Angela about the plans for the new capital of Egypt. You've chosen another fantastic theme, Alex! I know that you'll knock it out of the ballpark in April with both A to Z and Dragon Of The Stars! So much going on! I'm looking forward to being involved with the Scavenger Hunt. Good luck on your book release and Egypt getting a new capital like that is really exciting. I wonder if it will rival Dubai. Looking forward to your A to Z theme. I'll hop over and check out your post at Curiosity Quills. Happy Monday! Everyone knows things are better when they go to 11. A whole new capital? A very brave undertaking. I am pretty certain that we could never reach agreement here - and there would be a huge budget and time overrun. I am ready to be cloned-lol! Holy smokes of dragon ball Z...how do you manage it all?! Sad about that new Egyptian capital. Why sad you ask? Those who read the 13th chapter "PARIS BY THE NILE" of The Stars Bleed At Midnight learned how Khedive Ismail traveled to Paris and returned, determined to re-shape Cairo into a gem of civilized beauty. At first he did it with the increased cotton money come to his country by our Civil War taking our cotton from the world's markets. Eventually, he did it with European money that would eventually steal the common Egyptian's freedom and give it to the great banking empires of the West. Ismail decided to build an entirely new city just west of the old one. The cotton boom of the 1860's died and Ismail increased taxes on his people and loans from European banks ... at exorbitant interest of course. Cairo became a city meant to be magic become one of foreign occupation, heartbreak, and harsh living for most of its people. England ruled defacto to prevent Egypt from failing to keep its debts. History is a cycle. Sigh. Cult classics like the Tomato that Ate New York or the Attack of the 50ft. Woman? LOL Sounds funny but I'm not clear on the concept since I didn't watch too many of those things. Maybe I'll learn something! Angela, let's see if they can pull it off. Lori, sanity may be optional. Suzanne, thanks for helping with it! Ella, sorry you were sick! Roland, you may be right. Hearts, most will be good classics, but a few films will be classic stinkers. I have to agree with your comment on my blog - if your blog had any more variety, it would explode. You keep us coming back with great news and insight. :) Thanks for keeping us in the loop! OK love that Redemption won. You have a jam packed April but you will survive(thinking Gloria Gaynor). I can't wait to see your A to Z and am so looking forward to it. I'll be learning a lot from you in April. Then again, I always do. Lots going on! Congrats to Mark on his book deal, and to everyone with new releases! Great theme for the challenge. I'm looking forward to following your posts. Looking forward to your theme, I love discovering odd books and films that never got the exposure they deserved. How in the world do you do it? Seriously feeling a little overwhelmed just reading about your April plans. As Always, congrats to all the writers you encourage on your blog. Good thing you're a Ninja or I'd be worried about you. You've taken on quite a load in April. Love the theme you've chosen. It will be fun to visit here daily. I read your post at Curiosity Quills and couldn't agree more. Excellent. Thanks for helping me with the Giveaway for Great Time Lock Disaster! Much appreciated. It's going to be a busy month for you! I love your cult classics theme! Alex, after all these years, you never EVER cease to amaze me! I would so love to meet you in person and your wife, too! She must be amazing, too! This may be your best theme yet, Alex. What a month you're going to have! I'm not participating in A-Z this year, but I know you will do great. It does sound like you're going to have a crazy busy April though. Wishing you the best. COOL! It sounds like a great theme for this year. Can't wait to read them. Excellent theme, Alex. I swear, when I read through your blog post and all of the book promotions you do for others and the guest interviews etc., i have to wonder: how do you do it? Do you have the same number of hours in your day as the rest of us mortals? You get so much done. I am always amazed. And always impressed. Just reading all that you have planned in April has me exhausted. Don't mind me while I slink off to curl up with a book and watch from the sidelines. :) Congrats on your release and double up those coffees. Do they have anything larger than a double venti? Love this theme. I'll be paying attention. I can't wait to see your cult classics. Just over a week away now! Phew, you exhaust me. I can't imagine waiting to schedule my posts the night before. I let out a sigh of relief when I finished writing and scheduling my posts on Saturday! Happy blogging! Plus, a term from Dragon of the Stars. errr........? Woohoo, cult classics. Your theme's going to rock, Alex. I was just watching some old cult films the other night: "The Last Man on Earth" with Vincent Price and "Attack of the Killer Tomatoes", lol. I'm looking forward to your posts next month! I hadn't heard of the Egyptian city plan but it's intriguing. I've been to Cairo and it is very congested, very trashy, and terribly overcrowded. Egypt could certainly use a new, highly eco-friendly city that runs on solar (Egypt! Almost no cloudy days! ), but it also desperately needs family planning. Anyway, I like Egyptians and the country has been building cities from scratch since about 3,000 B.C., so maybe they'll pull this off. Meanwhile, you've got a very busy month ahead of you, Alex. Wow! You are going to be busy, Alex! Good luck with all of it!!! Karen, I do my best. Just don't want to explode. Roland, I saw that - awesome theme!! Elizabeth, she is even more amazing than I am. Julie, that's good to hear! Melissa, thanks. Yes, same amount of time. I just try to use it wisely. Kim, if only I drank coffee! Ray, where is Fran these days? Miss the old dodger. Lanise, I hope it entertains you. I feel there is no way I can skip around through blogs AND reply to comments on my own page. What to do???Advice! It goes up to 11! Great theme idea! I bet that was very challenging to put together! Please let me know if there is absolutely anything you need from me for your book release! I noticed some people voted for Elton! It is a great version! Wow, that's a cool and challenging theme! Best of luck with it! And I'm wondering about the Egypt city... sounds really cool, but I hope it won't end up being another planet killing project like Dubai ... which is super cool and I'm always in awe at the pictures, but can't help but think about how many precious resources it wastes ... sorry, I'll stop here before I become being boring. That's a great theme. If anyone can do it, it's you! We don't sleep in April! Classic Cults!!! Good One! My husband will love those! Now off to Curiosity Quills. This may be my favorite theme you've come up with yet. I have a few cult favorites of my own I'm wondering if might make an appearance! so little time and so much to see! cult culture, eh? of course and the best, and will bring back memories, i'm sure! and love your clever teasing leading up to your release! You manage to keep a lot of plates spinning at one time. Very impressive. Wow, you have a busy schedule! Congrats on the book release. That's fantastic news. And I love your theme. Cult classics: ya can't go wrong with that one! Looking forward to checking out your daily A-Z posts. Sounds like great fun! So, May 1st, you'll disappear in a heap of exhaustion? Interesting theme!! How will you get everything done in April? Good that you have the A/Z posts done, but still seems like lots on your plate in the month ahead :) Enjoy it all! I visited the recent A to Z blog post, and it inspired me to make an effort to visit the A to Z blogs in April, even if I can't do A to Z this year. Cult classic science fiction books? That should be interesting. Great theme! I love your A-Z theme!! brilliant!!!!!!!! Cult classics are fun! I'm often interested in what makes them popular after the fact, and why they didn't work in the first place. Cool idea, Classics. Can't wait. By the way, Alex. 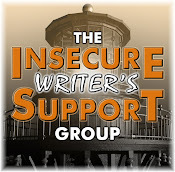 Please don't remove my name from the IWSG-list for not posting for March. I will post my March post (which I actually wrote in January) and will put a link on my April-IWSG-post (if we are having IWSG for April). I am drowning in things to do and write for the university. I've decided to add history as one of my teaching subjects. Against my better judgement, I have decided to do the A to Z anyway, but in very, very short posts. A to Z is coming up already? Sadly I won't be doing it this year. I'm on a research trip to England, then Eastercon, plus heaps of nonfiction deadlines. I'll be reading though! If anyone can survive that schedule in April, you can. Go Alex! I won a copy of The Great Time Lock Disaster, so I'm happy. Great promotion for the A-Z on your guest posts. And if the Egyptians pulled off the engineering feat of the pyramids with the technology available then, I'm sure they can build this city! Susan, skip replying on your own blog then. Next month, it will be too much. Heather, another four-five hours per post theme. And thanks! Stephen, I know how to juggle. Liz, yes!! And I have Z covered, believe it or not. Shannon, because some of them are just plain awful. Anna, we are posting for April and I won't remove you! That city sounds expensive. It'll be interesting to see what happens with that project. I can't wait to read your A to Z posts. I bet you will be drinking lots of energy drinks next month, you will have to to keep up the pace you have decided to undertake. lol. Wow! It sounds like a busy month for you. I like the theme of cult classics. My theme is productivity tips and techniques, especially for creative people. To build a city from scratch would be amazing. I think they should design it in Minecraft and make it all squarish. Even the statues. And the pigs. No? Great theme with Cult Classics. Gives you a lot of flexibility, and I'm really curious to see what you come up with. I'll be looking forward to your cult classic posts, Alex. I'm especially on the lookout for movies I can stream through Netflix. I'm operating as a bystander to the A to Z this year so hope to get to a lot more blogs and leave a lot more comments than usual. Looking forward to your A to Z posts. I'm participating in A to Z with the UR team. Your theme sounds fun, Alex! And I have no clue what Kargrandes are. Maybe something to do with car bombs? Your ambition and drive can only be admired, Alex. thanks for all the info and work you do. Cool the Thunderclap is a go! If I can do one quarter of what you do next month, I'll be happy. You're amazing. What an industrious theme, Alex! But I know you'll ROCK it! I'm glad to hear that Thunderclap is a go! A great theme and Alex and congrats on the Thunderclap campaign! There were some great cars in the 70s and they just don't do it like that anymore. My fav is still the Delorean. Carolyn, tons of energy drinks!! Tonja, that made me laugh! And my secret? Besides clones? I eat healthy, I exercise, and I don't have kids. Bob, it was fun putting it together, although science fiction books were tough to find. Patricia, I've got your NetFlix fix covered. Joylene, if I can do half, I'll be stunned. I would imagine Egypt needs a new capital. Looking forward to your theme. Say SyFy, and you have me. You have quite the challenge to the challenge, but I have no doubt you'll rock it. Hmm, a city from scratch. I suppose they managed the pyramids...why not this? Wonder how they plan to power that new city? Interesting idea, but strange place to put it, especially with all the problems the area is having right now. Loved the post on Dark Roast about the cars! I'd love to have one of the Citroens! Love your theme and looking forward to it! I'm glad you hit your quota on Thunderclap. Good luck with the A to Z challenge. I just couldn't write enough to put out 26 posts in a row! Okay, that city in Egypt is a CRAZY idea. It'll be interesting to see if it actually comes to fruition! I wonder whose great idea (and wallet) that was? Wow, all the things you have planned made my head spin. Here's wishing you tons of ninja endurance! And yay to Mark, and everyone else with releases! Cult Classics! I love it! And April 7 is perfect--I can post a short review on D (the 4th!) --And got your answers for Q, too! We will be happy to hear your cult movies! Just hopped over to A-Z. Great post. Whoa Alex, so much going on here and next month looks crazy, but if anyone can do it, you can. I'm so excited. Loved your tips for making friends and am glad to hear the thunderclap is a go. It has taken everything within me not to share my Mini-Alex yet. So ready for the scavenger hunt. I hadn't heard Mark's news yet!! That's awesome! No surprises with your theme Alex. Cool. Congrats to Mark Koopmans on his contract. How exciting! Lots of other great blogger books out. So much energy! Oh My Gosh, are you ever going to be busy, Alex! Sounds like an exciting month coming up for sure. There are loads of interesting sounding challenge posts. My own personal challenge will be to try to visit as many as possible. Julie, I imagine the wallet part will come from the people. Toi, keep Mini-Alex under wraps! I love your theme and looking forward to finding some gems. And geez, Alex, do you ever sleep? So much going on. Concept motorcycles. That's what I want to see. I can't wait for my first hoverbike. Awesome theme. I'm looking forward to your A to Z cult classic posts. 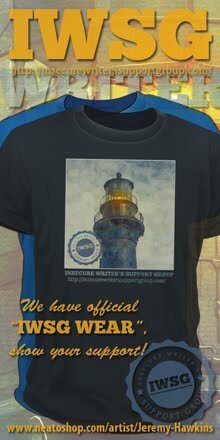 Thanks for the reminder about IWSG as well. You've got a great theme for A to Z. I totally flailed around, so I have no particular theme for April. So exciting! Your book is almost released! As always, I am awed by your ability to keep all this up- updating the Ninja News Scroll everyday seems a daunting endeavor in itself, doing all that movie/album/blogger buddy matching up on top just seems insane. Godspeed to you, indelible leader! There's a Goat on My Boat looks cute. I'll hop over and visit you on the other blog. Congrats to everyone!! I love the science (non)fiction news. So cool. And psyched to see what you come up with for the A-Z Challenge! TBM, I do like my sleep now! Love, love, love your theme. Can't wait to read your posts. Great theme. Have a fun time. I'll be trying to finish my book. That's a great theme. I'll be stopping by as much as I can to see what you've posted. Impressive project The Capital: Egypt Plans From-Scratch Largest City in History !! Pretty radical Egypt building a new capital. So looking forward to making new friends. My AtoZ theme? Cool Sci-fi stuff. Interesting about Egypt's from scratch city. I hadn't heard about that. Ann! Good to hear from you. Mason, no, that never happens. And hoping it all comes together. Congrats on the double releases, Pat. Thanks for sharing the news about Egypt!! I think it's a modern pyramid idea -- if your populace is buckling under high unemployment, a huge construction project can put them to work and put food on their tables. Luckily, Egypt has really rich "friends" to come up with the money - as long as they use their armed forces to protect said friends from encroaching armies. Gotta say, Al-Sisi is a very smart and pragmatic man. Congrats to Mark on his book deal, and congrats to Pat and Brinda on their new releases! I love cult movies - great theme, Alex! Hi Alex! Thanks for stopping by and saying hi. My blog isn't doing the AtoZ this year but I am doing a few letters on Untethered Realms blog for the event. Your friend Jezebel is even doing "R" day! Yussssss to Koopmans' book deal!!!!! So very, very HAPPY for him. Incredible story. Lexa, since you are there, keep us posted on the progress. River, I will be sure to catch her post then. Building a city from scratch could be very cool. Dubai has some of that quality. And as far as concept cars, I love going to auto shows. One of my fave concept cars was a Nissan car a few years back that looked like a combo of a spaceship and an old VW bus. I guess it was way too weird, because they never made that car for reals. That will be an interesting (a-z) list to read. Congrats on your upcoming book release too. I don't know how you keep up! Here from how to make friends and I agree with so many things you wrote. I love commenting but too many people just stop by and forget to comment. Too bad. I need all the friends I can get! It makes me tired, just reading all the things you do. I wish I had some of your energy Alex. Alex! I hope you're well. I'm taking a slight hiatus from the blogosphere...just for a little while. Let's just say I'm really looking fwd to summer time! Good luck with your book launch and the blog tour! All kinds of good stuff, Alex. I'm a fan of many cult classics, so I look forward to seeing what you come up with. Good luck with the big release next month! Catherine, that's an odd combination. Sharon, some days I don't know either. From-Scratch still beats Rebooted... 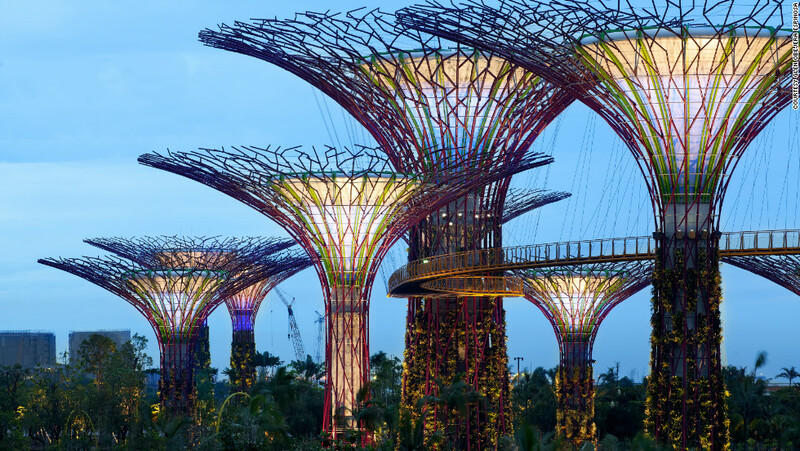 Ever seen the Supertrees in Singapore? Click HERE. I need to get my nephew that Goat In My Boat. Hope you're doing fine. What do you think of my new movie poster? CLICK and scroll down. Yep, a movie based on your books sounds like a plan to me, Alex. Kudos to Mark, Pat and Brinda on their books! Way to go and best wishes for every success! Sounds like quite the theme this year, Alex. Wishing you every success too! I can't wait for that theme! It will be AWESOME! !